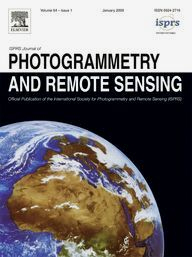 Manage the editorial process for papers submitted to the Journal in the area of optical remote sensing. Ensure high quality scientific content for the Journal, taking into account the Aims and Scope and the Elsevier's editorial policies. Work closely with the Associate Editors and Guest Editors who will report to the successful candidate. Work closely with the incumbent Editor in Chief on matters of the Journal's strategic direction and manuscript decisions (general philosophy, editorial speed, ethics and difficult cases). The successful candidate should have a demonstrated track record of publishing high-quality papers in peer-reviewed journals. The successful candidate should have editorial experience. This position demands a great deal of time, so the successful candidate must not only possess strong time management skills, but must also have the capacity to devote the necessary time to the job. Strong written English communication skills. Candidates with demonstrated commitment to P&RS (as an author, reviewer, Associate Editor or Guest Editor) are highly encouraged to apply. Interested individuals should submit a cover letter with statement of previous experience and vision for the journal and CV to Christian Heipke, ISPRS Secretary General by September 15, 2014 (isprs-sg@ipi.uni-hannover.de). In the last ISPRS eBulletin Council reported on its activities with respect to revising the Commission structure of the society - see www.isprs.org/news/newsletter/2014-02/index.html. As mentioned in that editorial, ISPRS has initiated a blog to solicit comments about the ideas expressed in the revision document. This blog can be reached at www2.isprs.org/news/blog/detail/items/council-explores-revision-of-isprs-commission-structure.html and is still open for contributions. Igor Musihin from the SSGA - the Siberian State Academy of Geodesy in Novosibirsk, has provided a new introductory text on interferometry to be freely distributed on the ISPRS web page, see http://www.isprs.org/education/tutorials.aspx. Igor can be contacted at igor_musihin@mail.ru and is available for questions and advice. 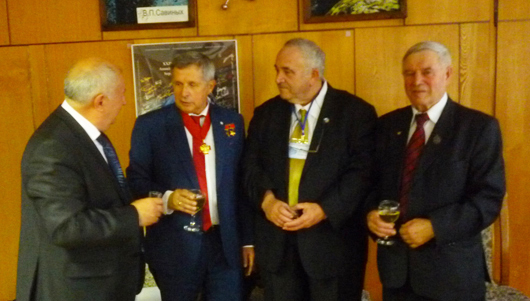 In May 2014, MIGAiK, the Moscow State University of Geodesy and Cartography, founded by Catherine the Great in 1779, celebrated its 235th birthday. Ammatzia Peled, former 2nd Vice President of ISPRS, represented the society at the Ceremonial Opening of the 2-day symposium, which was organised on May 28 and 29, 2014 at this occasion. The very successful 3S – Summer Student Seminar that is run by ISPRS WG VI/4 and three universities from Russia and China (MIGAiK, SSGA, and University of Wuhan) was mentioned when calling Ammatzia to address the audience. ISPRS and the 3S were discussed also with the MIIGAiK president at his office at a special meeting with old friends just prior to the evening gala. ISPRS has recently been informed of the death of Carolyn Merry, retired professor of The Ohio State University, Columbus and former president of ASPRS. Carolyn was killed in a car accident on June 3, 2014. Carolyn was well known in ISPRS circles as a firm and constant source of support of international affairs and ideas. We are very sad to lose a great supporter and a very good friend - we send our condolences to her family, friends, and colleagues. ISPRS is an old lady – born as the International Society for Photogrammetry in Vienna in 1910. Thanks to an important development of a new science – remote sensing, the Society recognized remote sensing to become another important theme for Society members and changed its name in 1980 to its present name. Later on, a closer connection between photogrammetry and remote sensing on one side and geospatial sciences on the other resulted in the inclusion of geospatial science topics into the society and the establishment of two ISPRS Technical Commissions focused on spatial sciences and data. Currently, ISPRS is organized in 8 Technical Commissions. Each commission has 6 to 10 working groups which are the basic bodies of the Society’s development. The working groups carry out benchmark tests, publish special issues on topics within their interest and organize workshops in the period between two congresses. Each technical commission presents the results of their work during a so called Midterm symposia – two years after the last ISPRS Congress. The Society was founded at the Technical University in Vienna and was always significantly supported by the academia world. Also, education and capacity building always formed an important role in ISPRS activities. TC VI is focused on this topic. The ISPRS Congress is a special scientific meeting bringing together all members only once in four years. The General Assembly of the XII ISPRS Congress in Melbourne in 2012 elected the Czech Republic to host the next ISPRS Congress. The Congress is a big event with several thousand participants from the entire world. The scientific goals of the Congress have been discussed from the very beginning during Council meetings. Council and Technical Commission Presidents approved a procedure of reviewing abstracts for papers which will be placed in the ISPRS Archives (proceedings) and a procedure of double blind review of full papers which will form the proceedings called Annals. The second phase, which is now under preparation is to define a structure for the scientific program. The final structure will be publicized in the second call which is planned to be issued in January 2015. The program will consist of plenary sessions, technical sessions of individual working groups, thematic sessions with bridging themes, and special sessions led by important players of the photogrammetry, remote sensing and spatial sciences world. Special attention will be dedicated to a Forum of National Mapping Agencies. The educational goal will be fulfilled by the ISPRS Summer School which will precede the Congress by one week. It will be organized in cooperation with ISPRS Student Consortium. The technical goals of the Congress will be twofold – technical exhibition and technical tours. The Congress organizers have already prepared the manual for interested exhibitors, available at www.isprs2016-prague.com/download. Technical tours will be offered, for example an excursion to Riegl Laser Measurement Systems GmbH, Vexcel Imaging GmbH, and to the leading national metrology institute, the Metrology Service BEV-Eichwesen in Vienna. Germany is ready to welcome participants to DLR (German Aerospace Centre) located in Oberpfaffenhofen near Munich. 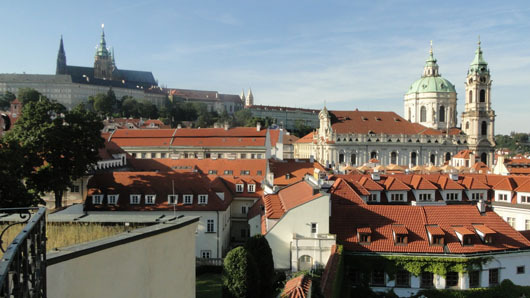 The Czech Republic will invite interested participants to the Czech Office for Surveying, Mapping and Cadastre, the Czech mapping Agency, to present the Register of land identifications, addresses and real estate, cadastre system, etc. The social program has various components. The organizers are preparing culture programs and social programs for all evenings. A welcome drink after the Opening Ceremony will be the first one. Participants are invited to a concert, theatre and a boat trip. Accompanying persons can choose from short and long excursions in and outside of Prague. There is a long list of pre- and post-congress tours already prepared. The venue of the Congress, Prague Congress Centre is situated two metro stops from the Prague centre – Václavské náměstí (Wenceslaus Square) offering not only comfortable transport connections, but also accommodation close to the centre of the city. The Congress motto From human history to the future with spatial information should evoke respect to the achievements of our predecessors who invented maps, geometry, topology, photographs, etc. Our goal – from my point of view – is to continue in the development to help humankind in their personal life, in their „working days“, to secure them from disasters, to inform them about the actual state of floods, forest health state, e.g. This short list represents effort of thousands of people to create 3D models of objects, to classify and show individual states of the Earth surface, and to record these data efficiently and in a user friendly way for human society. It is the proper time to think about participation in the Congress and preparation of a paper as the due dates are 30 November (Annals) and 13 December 2015 (Archives). The ISPRS Com. VIII Midterm Symposium will be held in Hyderabad, India this December. The deadline for submission of full papers and abstracts is August 15, 2014.
the symposium flyer is available at www.nrsc.gov.in/isprs/brochure.pdf. is co-organizing a session at the Annual Meeting and Exposition of the American Public Health Association (APHA) in November 15-19, 2014, New Orleans, USA, see www.apha.org/meetings/annual/. This year's theme of APHA meeting is Healthography: How where you live affects your health and well-being. The Symposium is entitled "Observing the Earth, Monitoring the Change, Sharing the Knowledge". ISRSE and ISPRS are connected via the ICOSRSE Committee of ISPRS, see http://www.isprs.org/structure/icorse.aspx. Meeting proceedings of the ISRSE Symposium will appear in the ISPRS Annals and Archives series. The Abstract Submission System for the 36th ISRSE is now ready and open. You are cordially invited to submit your abstract here. Please note: The deadline for submission is 30 September 2014. All relevant information can be found here and in the Call For Papers. LaBute, Montiago X., McMahon, Benjamin H., Brown, Mac, Manore, Carrie, Fair, Jeanne M.
Le, George E., Breysse, Patrick N., McDermott, Aidan, Eftim, Sorina E., Geyh, Alison, Berman, Jesse D., Curriero, Frank C.